Shmoo has been begging for a peanut butter gummy worm sandwich ever since reading the Captain Underpants series. Now, on his second-to-last day of homeschool partnership school, I am finally able to oblige this repulsive whim thanks to vegan sour gummy worms, the first vegan gummy worm ever! He also asked for potato chips with whipped cream, another gem from the Captain, but I drew the line and merely surrounded his wormwich with Pringles Minis. On the side are two of his favorite fruit and vegetable combinations: blueberries and kiwi fruit, and corn and lima beans. Verdict: A disgusting, revolting, worm-ridden lunch box. In other words, it was perfect! Shmoo reports that the gummy worms were very good, and "not actually sour". 5 stars if you have a 9 to 10-year-old boy or for Halloween. Wow that is some sandwich! I think I left you a comment early, but I just wanted to let you know that I love your blog! It was one of the first ones that inspired me to create my own. Repulsive yet intriguing. Thank you for not including the whipped cream! Looks like a delightful lunch! cute! proof that you can keep to the ideals that you have set for you and your family and still give your kids a fun lunch. You are my role model. I one day hope to be the kind of mother you are. AMAZING !!!! I'm a new Vegan and it can be hard at times, with a VERY NON-Vegan hubby and entire family, it can be hard, but when It gets rough I think of you !! I have pre-ordered my book from Amazon and CAN't wait to get it !! How did it come about that you "convinced" you hubby that your Shmoo would be vegan? I'm trying to make it clear to my hubby that our children should/will be vegan until/ unless for some crazy reason they want to be "M&@T" eaters. Aw, thanks, CeCe! It can be very rough when you and your spouse have different ideas about how to raise/feed children. In our situation, in order to avoid arguments and clashes of will, shmoo was raised from the start with no rules on whether or not to eat meat or anything else. He was always offered a choice of everything that was on the table, and could take or leave it. Around the time when he started noticing that mommy and daddy ate differently and started asking questions, he chose for himself to be vegetarian/vegan for quite a while. Nowadays he's more of a "daddy's boy" and is eating more like his father. He also enjoys making his own food most of the time, so I generally leave his food up to him. I try not to place any judgments on his choices, and try to let him know that I will always love him, no matter what. I've found this to be the best way to keep things peaceful in the home. 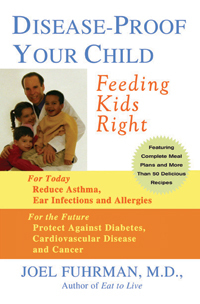 Other parents I know have been much stricter about making sure their children are vegan at home, school, etc. This is just what has worked for us. I already pre-ordered your new book and am anxiously awaiting it! I was so excited to see your 2 most recent posts. I check often and leave with a =( when there isn't new stuff. We have been transitioning here at our home - which makes for interesting meals and hubby faces! You are an inspiration, and i have our Laptop lunch boxes ready for when school starts back up again. 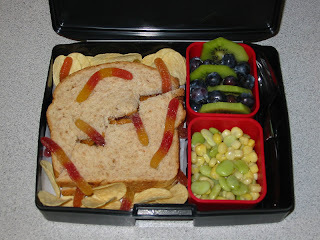 The kids scour the older posts for lunches they think are fun and yummy. Thanks for all you do - and keep it up!! so glad I checked this blog. LOVE your sandwich! Very cute! Missed seeing your creations! You are so creative, I am borrowing ideas from you left & right! Did you know that July 15th is Gummi Worm Day? Another reason to make a butter gummy worm sandwich!! Introducing the Summer Veg Out! My Biggest Lunch Box EVER!